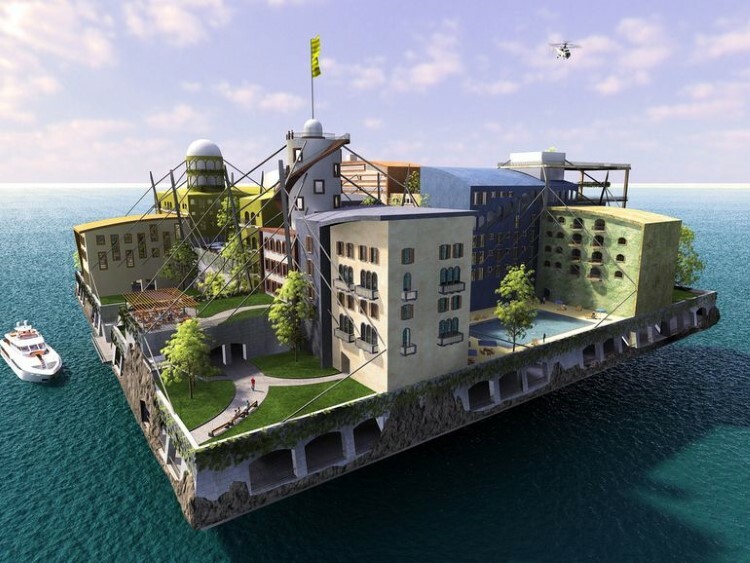 Seasteading: Does it make any sense? Whether it’s due to global overcrowding, rising sea levels or a need to abandon many of our crumbling old cities for the new, the early part of the 21st century will probably go down as either the pioneering steps towards living on the oceans, or an unsustainable water-borne fad for the rich. Organizations like the Seasteading Institute clearly think a lot of the idea, and claim that floating cities could arrive by 2020. And it might be a viable idea for some, especially those in land-poor regions, or island nations that are looking at their homes being imminently submerged by sea level rise (in Lohachara Island, in India’s part of the Sundarbans, it’s already happened). Estimates place the number of people who will be displaced by rising seas at 70,000, and these are primarily reflecting those in island nations… they do not take into account many coastal cities that are actively losing their coastlines, nor the costs involved in shoring up coastal and shipping areas. But is that enough of a reason to build away from land? Though some countries, like China and Dubai, seek to increase their land by creating artificial islands and expanding coastal lands from the shore, some are looking at structures that will float independently on the ocean, either moored to shore or allowed to float freely. Though some are elaborate in design, generally there’s nothing special about the structures they propose… just that they float. Some of them use the temperature or pressure gradients of deep water to generate electricity. Can they be better than land-based cities? They can certainly be newer. True, there are many old cities on this planet, many of them in need of updated infrastructure that would better allow them to serve and support their residences. And we haven’t even begun to efficiently use the land for our homes now. Human cities are known for their sprawl and wasted space; but architects like Paolo Soleri have shown us designs for organic, unitized structures (Soleri called them Arcologies) that use space more efficiently and waste less through sprawl. Such a structure could house the entire population of New York City and its surrounding suburbs in a space covering only a few square miles. 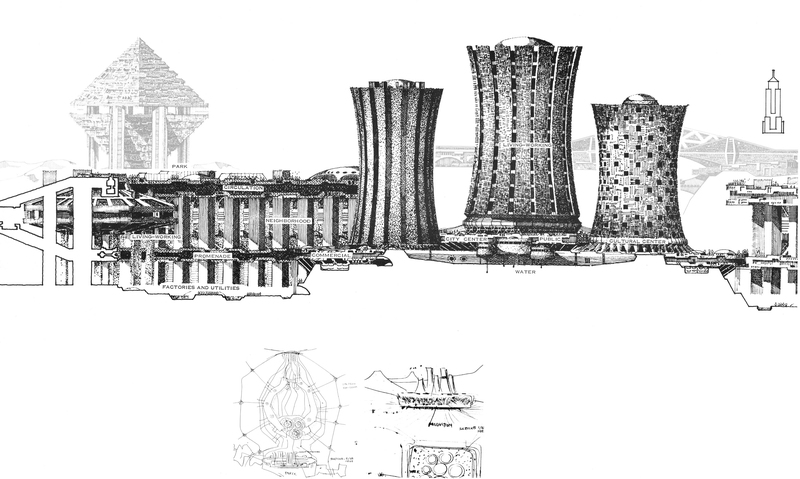 And the structures and building materials of old cities could be reclaimed and repurposed to build new ones. I’m also concerned that if we build into the oceans, we’ll find new ways to pollute those oceans, something else we haven’t logged the best track record in so far. We’re just now learning how to more efficiently use the resources we have… not to mention (as I did above) having the opportunity to recycle our land-bound dwellings. Unless we plan to dismantle our land-bound cities and use the raw materials to build ocean-going cities, we are committing to more extreme wastefulness that this planet can ill-afford. And it’s worth noting that… if you think the weather’s tough now… wait ’til you see it at sea. A major advantage of land is providing a buffer for the worst of weather patterns, especially storms, extreme temperatures and environmental damage (or did you think salt water will be kind to our structures?). Living on the ocean will mean being much more vulnerable to weather extremes than we are on land. Those extremes will be harder on structures as well, requiring more effort on maintenance. As interesting in concept seasteading is, I think we’d be better off putting our efforts into the infrastructure we have on land. Though it’s not easy, it would ultimately be easier and more fruitful than just abandoning a land-bound city and starting over. Previous Previous post: Will a Universal Basic Income world work? Next Next post: Robots attacking humans: Okay, here’s the thing. Farah Evers pointed out that many places, like Holland, are building individual homes out into the water to increase available housing space. In an area with limited living space as it is, this can make some sense (and Holland might look kinda funny with an Arcology standing in Utrecht). But my concerns about viability on the water, and the possibility of more efficiently repurposing land space, still stand: If Holland rebuilt some of its existing cities, would it need to build out into the water? Or is this being done out of a combination of desire to live by the water, and expediency? It’s clearly a trend… but is it a good one?